On the 9th of August 2009, the International Day of the World’s Indigenous People, the Federal Government released a media statement and policy document on Indigenous Languages. 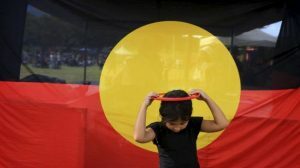 The new National Indigenous Languages Policy is aimed at keeping Indigenous languages alive and supporting Indigenous Australians to connect with their language, culture and country. The policy is loosely written, so that it is non binding. But states that the Australian Government is committed to addressing the serious problem of language loss in Indigenous communities. The policy has five stated aims, as follows, and highlights a number of actions to achieve them. National Attention: To bring national attention to Indigenous languages – the oldest surviving languages in the world; and the pressures they face. Critically Endangered Languages: Reinforce use of critically endangered Indigenous languages that are being only partly spoken to help prevent decline in use and to maintain or extend their common, everyday use as much as possible. 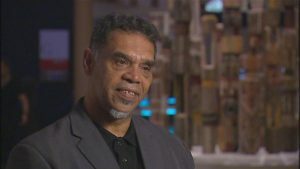 Working with Languages to Close the Gap: In areas where Indigenous languages are being spoken fully and passed on, making sure that government recognises and works with these languages in its agenda to Close the Gap. Strengthening Pride in Identity and Culture: To restore the use of rarely spoken or unspoken Indigenous languages to the extent that the current language environment allows. Supporting Indigenous Language Programs in Schools: To support and maintain the teaching and learning of Indigenous languages in Australian schools. This program within The Department of Environment, Water, Heritage and the Arts (DEWHA) supports policies and community initiatives to preserve and maintain Indigenous languages. The Maintenance of Indigenous Languages and Records (MILR) program addresses the steady erosion and loss of Australia’s estimated 250 original Indigenous languages by providing support for the maintenance and revival of these languages. The MILR program supports a broad range of projects, including documentation and recording of Indigenous languages and the development of language resources and language databases to assist with the development and delivery of programs through language centres. It also supports greater coordination between language organisations, activities that promote Indigenous languages in the wider community and innovative projects using multimedia and new technologies.